We provide airport transfers to London airports from all parts of the City. The finest of London airport transfers companies is Freedom Airport Service. We offer a full line of private taxi options between London's airports and London and its surrounding counties. Small groups can get a private car that can pick them up at their hotel or residence and take them to any of the airports surrounding London. They can also have the car meet them when their flight arrives at the arrivals hall in the terminal of the airport. Larger groups also have the option of hiring coaches of various sizes as well. All of these transportation options come with a professional driving staff with years of experience in private transportation. We provide airport transfers to London airports from all parts of the City. Many times, people are living or staying in a location across the city from the airport from which they want to leave. Driving themselves is one option. However, many do not want to deal with the hassle of London traffic. There are always the options of taking public transportation such as trains, buses, coaches, taxis, or even the Underground. However, many times that involves multiple transfer points as well as hauling luggage about. 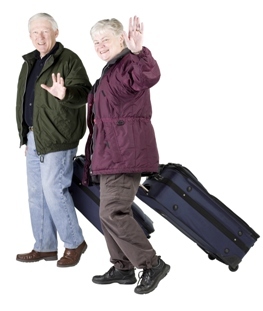 Hiring a private taxi service makes travel much easier and does not involve moving baggage multiple times. If you want chauffeur airport transfers, London’s Freedom Airport Service is the best one to choose. There are other private car services available. However, we offer our clients top-of-the-line service at reasonable prices. Our fleet of private taxis allows customers to relax and unwind before they get on their flight or after they have arrived. Our professional drivers have years of experience and expertise to move through London's traffic. They know the best routes to minimize delays. London city airport transfers are easy for you and your family if you use Freedom Airport Service. If you are trying to move your entire family to the airport or back, trying to use public transportation can make it difficult. It means keeping up with all of the baggage as well as keeping track of the children. If you have multiple transfer points, all of the difficulty escalates. Using a private car service will remove that difficulty and make your travel to or from the airport much easier and smoother. A private car service will make travelling with children a joy instead of something to dread. It will let you start enjoying your vacation earlier than you had hoped. Call Freedom Airport Service and see what we can offer you.